Effective team building ideas will assist you in communicating important points to your team. 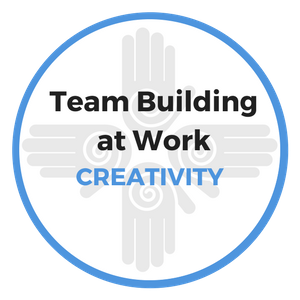 Our Team Building At Work guide emphasizes several important leadership topics. For each topic we provide at least two helpful activities that you can use to communicate your expectations and support your team. Our first team building ideas are on the topic of accountability. Each team member must understand that he or she is accountable for their personal and professional growth; accountable for being solution-oriented; accountable for being a team player; accountable for demonstrating a commitment to their customers and to the organization; accountable for meeting their goals and helping the team to be successful. The idea of team members being held accountable for their results, while not new, can sometimes surprise employees. Particularly those employees who have not been held to a standard of performance in the past. This is why it's so important for leaders to take time up front to be very clear about the expectations of the role. Successful organizations recognize that the more you hold your employees accountable for their results, the more likely it is that the individual will perform at the expected level. People inherently want to be successful and most will rise to the level of expectation if given the necessary guidance and support. Goals must be realistic and achievable, and should require employees to be fully engaged in order to be successful. The top performers will far exceed your expectations. Average performers have demonstrated a baseline for success and can be coached upward. Bottom performers are probably in the wrong job to begin with so it's important to help them be successful quickly, or help them find happiness elsewhere. "Accountability takes place when leaders INSPECT what they EXPECT." No one should be surprised to learn that if they do not consistently follow through on their commitments to the team, then they become a liability to the team, and top performing teams don't allow members to continually be the weakest link. Every team member must understand that in order to remain on the team you must consistently earn your position and demonstrate a commitment to achievement ongoing performance. 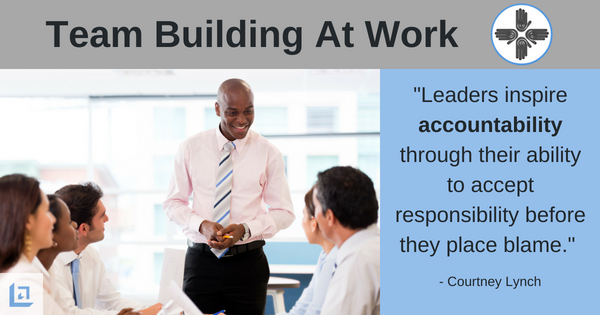 However, leaders must hold themselves accountable before they attempt to hold team members accountable. Leaders must balance their message of accountability with supportive actions that help to teach and coach employees to new levels of success. If you haven't taken the time to teach and coach your people, then it's not fair to hold them accountable for not achieving a goal that you haven't prepared them for. Large and small companies are now linking their success in service delivery, employee satisfaction, customer retention and business growth, directly to their ability to hire and retain high functioning employees who thrive on personal accountability. As the leader, you must establish expectations for your team members in two primary categories... Performance & Behavior. Be a leader who practices what you preach. Demonstrate daily that you hold yourself to same high levels of achievement that you expect from the team. Doing so will greatly improve the chances of the team being successful. Purpose: To show team members that they are accountable for continuous improvement. In order to grow and expand their skill-set they must remain open to trying out new ideas and creative solutions. Once everyone has identified a common task, explain to the group that they need to work in partnership with another team member and they must complete the task using the opposite hand that they are used to using. Encourage each team member to try his or her best knowing full well that it will be uncomfortable. Instruct the teams to take turns conducting the task and observing the other person as he or she attempts to complete his or her task. After the first round, instruct the teams to repeat the exact same task. Being willing to attempt new ways to solve common problems. The more you do something different, the easier it becomes. Holding each other accountable for bringing new ideas to the table versus simply leaning back and being an "order-taker". After a short group discussion on what was learned from the exercise, identify ways to incorporate the lesson(s) learned with a current challenge or obstacle that your team or team member is facing. "Never doubt that a small group of thoughtful, committed people can change the world. Indeed. It is the only thing that ever has." Purpose: Increasing awareness of team members on how they can positively or negatively influence the work environment by how they choose their words. This team building idea holds employees accountable for the words they use in meetings and in the workplace. Explanation: Too often, employees respond to a newly introduced challenge by using words that reflect poorly on the employee as well as on the team. Without even noticing the impact of their language, they limit their ability to be successful. Sure, but are you sure we can do that? I can’t say for sure, but I’ll give it a shot. I won’t promise anything, but I’ll see what I can do. In the above examples, while the overall message may seem to be positive, they still give off a sense of doubt by using the words "BUT, TRY, CAN’T, & WON’T". Coaching your employees to become more aware of this in their everyday life, and especially when they are in your meetings and on the phone with customers and/or business associates, will aid them in their future success. Encourage your employees to replace the words BUT, TRY, CAN’T, & WON’T with more positive and constructive words such as AND, WILL, CAN, & WILL. Ask for examples of negative language they have heard from someone they know. Not profanity, but just statements the reflect what we call "stink'n think'n". Then challenge the group to rephrase the sentence in a more positive way. This team building idea is a fun way to get your people thinking about the impact of the words they use. "Employees often unknowingly send out messages of doubt, uncertainly and low self-esteem when they respond." After you've implemented this team building idea, consider holding employees accountable for their words by creating a special item known as the THEM-blem award. The item can be something as simple as a rubber chicken, a stuffed animal, or a trophy of some sort. Whenever a team member catches another team member using negative or unproductive language, they get to pass on the award to the offending team member – in effect holding that team member accountable for their choice of words. The person who holds the Them-blem award is now the person who must identify someone else using language that is either unbecoming or not in the best interest of the team. Make the point to your team that "negative and unhelpful language is fine for your competitors, but not for US. That’s what THEY do, but WE are better than that." Creating an US vs THEM mentality is a team building idea that can do wonders to promote teamwork and a strong sense of accountability. 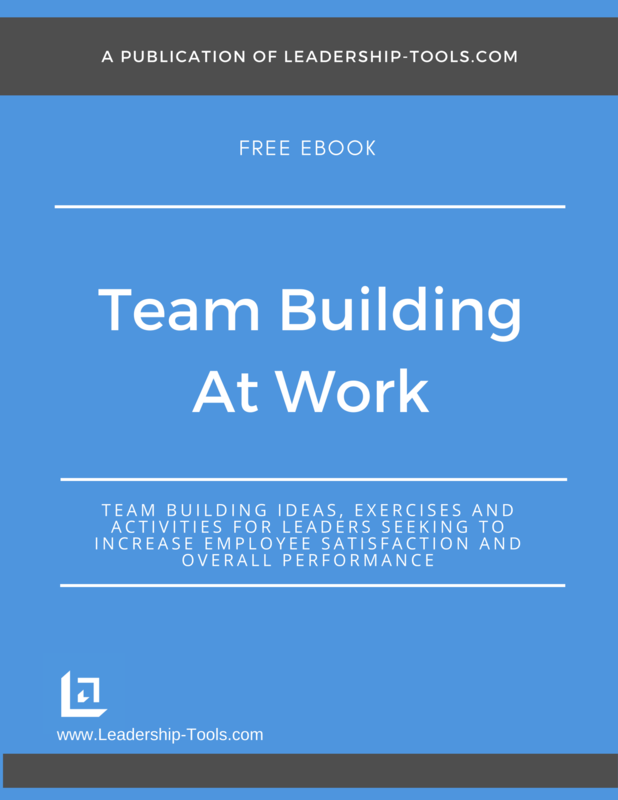 To download our free Team Building At Work eBook for more great team building ideas, simply subscribe to our free newsletter. You will immediately receive a password that grants access to our entire leadership tools library.